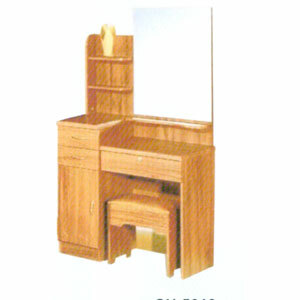 Beautifully Designed Vanity Set Available In 2 Finishes: Walnut Finish And Cherry Finish. Vanity Features 3-Drawers And 1-Drawer And It Includes The Mirror And Stool. Strong Construction. Easy To Assemble. Floral Print On Mirror Is For Decorative Purposes. Not On Actual Mirror.